Happy Sabbath, *|FNAME|*! Attached is news from around the conference. Ordination of Gary Force » On August 30, 2014, during the Buffalo SDA Church campout, Pastor Gary Force was ordained to pastoral ministry in the Seventh-day Adventist Church. Gary and his wife, Marirose, have served the Buffalo, Sheridan, Gillette, Upton, and New Castle Churches for the past 2 years. 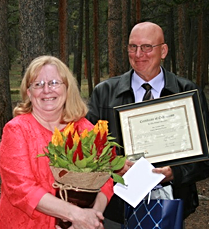 Previously, Gary put in 39 years of service as a teacher, principal, and administrator. God has richly blessed his ministry. 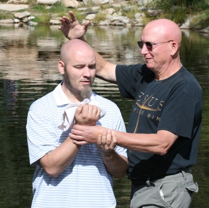 The day's events began with Gary baptizing his future son-in-law, Russell (along with Russell's teen-age son). Following the baptism was a baby dedication for Gary's second grandchild. The actual ordination took place in the afternoon. On Sunday morning, Russell and the Forces' daughter Darcy were married. It was a full, blessed weekend. COLLEGE FAIRs at Campion Academy (10 a.m. to 12:30 p.m.in the gymnasium) and Mile High Academy (2:00 p.m. to 3:30 p.m.). applications, costs, and scholarships, and to field Q&A sessions. This will be a great "one-stop" preview opportunity! 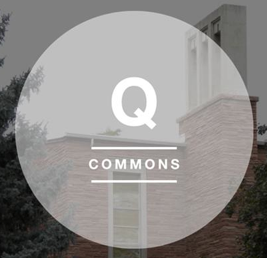 Q Commons conferences are being held to give church and cultural leaders the opportunity to collaborate and explore ideas on how best to express the gospel within the context of modern culture. 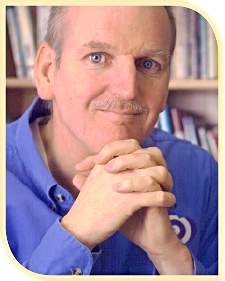 Join us Thursday evening, October 9, 2014, from 7:00 p.m. to 9:00 p.m. at Boulder Seventh-Day Adventist Church to learn and consider how to advance good in Boulder. For more info and to register, click here. Economic crises. Natural disasters. Pandemics. Extended power grid failures. How would you fare? Would you be able to provide water, food, and heat for your family and also for others in need? Prepare now! A Sustainable Living Seminar by Craig and Nancy Meissner will be presented at the Inn at Lander (in the Warbonnet Room) on Sabbath afternoon, October 4, from 2:30 to 4:30 p.m., and on Sunday, October 5, from 1:00 to 6:00 p.m. Please invite friends from the community for the Sunday program. For more info about the seminars, contact Christy at 307-851-3630. Piñon Hills hosts series on discipleship training » The Piñon Hills SDA Church in Farmington, NM, will feature "Praying God's Word—Experience Christ and Him Crucified," a seminar presented by Paul Coneff, director of Straight 2 the Heart Ministry. Coneff's goal is to see the local church become a center of healing and wholeness where lives are transformed to go out and minister to the world around them as they prepare for the return of their Lord and Savior. All area churches are encouraged to attend at 6:30 p.m. on Sept. 24, 25, and 26, and at 11 a.m. on Sabbath, Sept. 27, at the Piñon Hill SDA Church, 5001 Foothills Dr., Farmington, NM. RMC hosts "Revival & Prayer" weekend » The Rocky Mountain Conference is hosting a Revival & Prayer Weekend, October 24-26, 2014, at Campion Academy, with special guest Pastor Pavel Goia. This will be a powerful experience for anyone who has a passion for prayer, wants to grow in their prayer life, or is longing to experience personal renewal and revival. 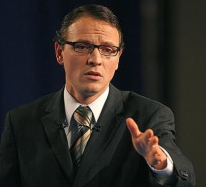 To view a video clip of Pavel Goia sharing an amazing miracle story, click here. For more information and to register, visit bit.ly/rmcrevival2014. David Asscherick comes to Franktown » International speaker, evangelist, and author David Asscherick will be the guest speaker at the Franktown SDA Church on Friday evening, October 26, at 7:00 p.m., on Sabbath morning, October 27, at 11:00 a.m., and again on Sabbath afternoon after the fellowship luncheon. All are invited to attend. The church is located at 905 N. Hwy. 83, in Franktown, Colo.
Join the Weekly RMC Prayer Conference Call » Each Wednesday morning, Jim Moon, our RMC Prayer Coordinator, hosts two back-to-back prayer conference calls in which time is spent in conversational prayer and worshiping God for who He is. Callers intercede for people and needs throughout the Rocky Mountain Conference, asking Christ to "increase" in us and in the lives of our leaders (John 3:30). Please join the prayer conference call every Wednesday at either 7:30 a.m. or 8:00 a.m. (or both). The call-in number is (720) 452-6338, and the access code is: 772-9762#. 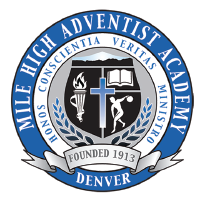 Mustang Mosey: 5K / 10K Fun Run to benefit Mile High Academy » On September 28, at 9 a.m., a 5K Family Walk/Run and 10K race will be held to benefit Christian Education and the Annual Fund at Mile High Academy. For details on registration and location, click here. 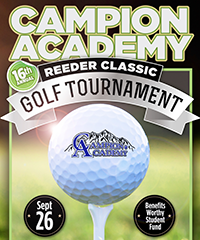 Golf Tournament to benefit Campion Academy » The 16th Annual Reeder Classic Golf Tournament benefiting worthy students at Campion Academy will be held on September 26 at Ute Creek Golf Course in Longmont, Colo. The $125 entry fee includes green fees, driving range, golf cart, and lunch. For more information, click here, and call 970.556.0664. We want to share your news! » If you have a ministry or evangelism story to tell, please email it to [email protected] so we can share how God is working through His people in your territory. Members can follow the link to sign up for weekly news and to keep up-to-date on what's happening around the Rocky Mountain Conference. 7:30 a.m. and 8:00 a.m.
Click here for info on any of these events.